Why a is a vintage wardrobe more interesting than new "fast-fashion"? I've been working on maintaining and updating my lil shop more often lately. Warm weather brings out my thrifty side. I live with-in an hour of a big military base which makes for a lot of interesting ethnic finds. A lot of war-brides, lady's from overseas who married American solders after World War II. We also see the homes of a lot of well traveled families. Estate sales around here are often loaded with worldly bohemian finds! I'm endlessly fascinated piecing together the lives of the house you're going through. The story's they have to tell! 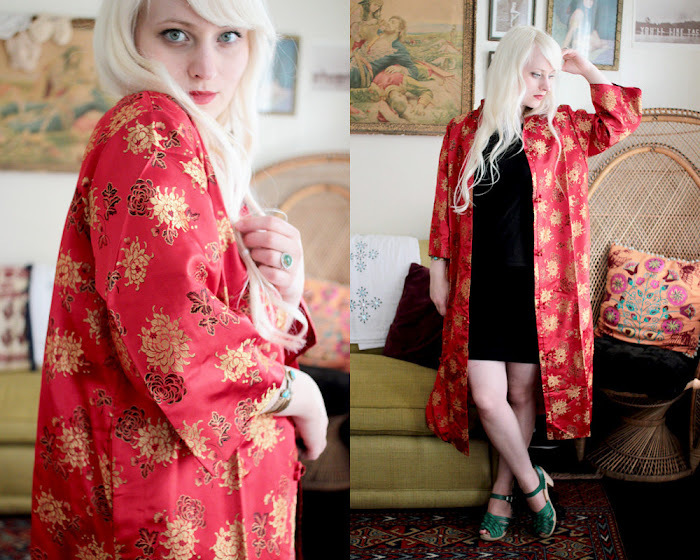 One of my favorite finds are vintage kimonos. They feel so boudoir and special. 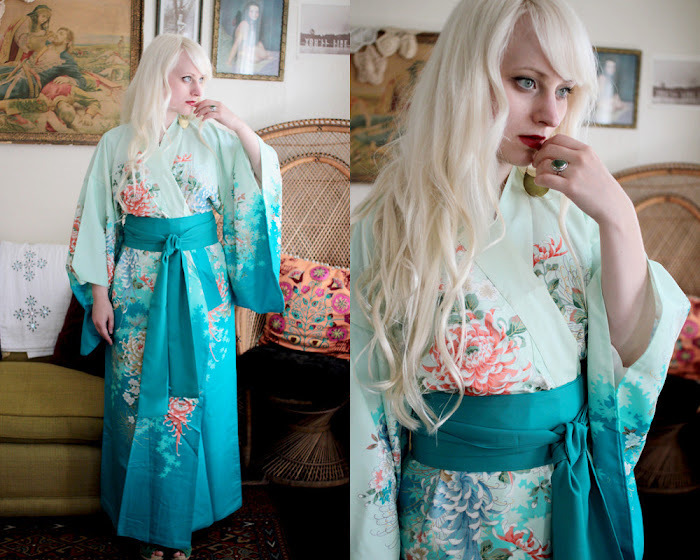 Even if they end up being wall decor, silk kimonos are a pretty thing. I pick whimsical and unusual pieces for my shop because this is my own aesthetic as well! 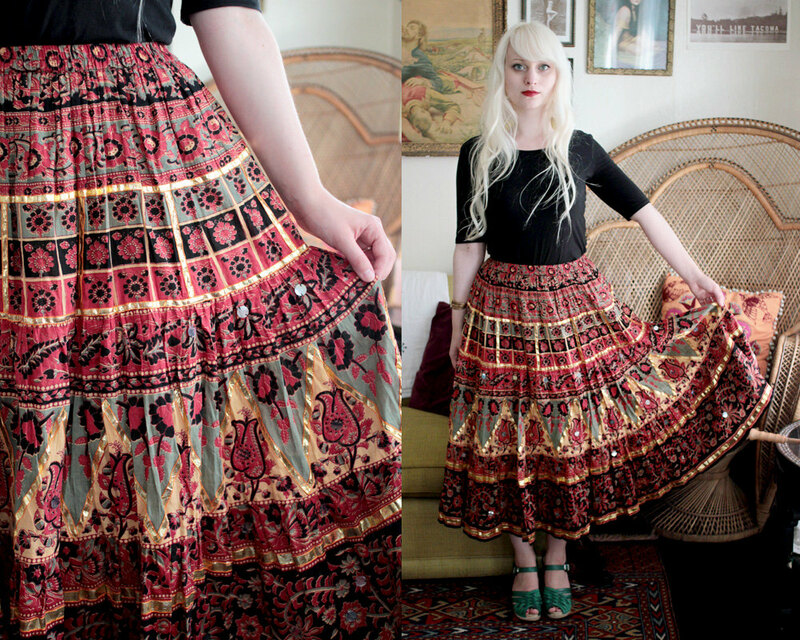 I love fabric, pattern, embroidery... and of course sharing my find around the world! I've shipped to nearly every continent, that's crazy! This week it was New Zealand and Colorado! Sometimes it's shipping Japanese pieces back to Japan. 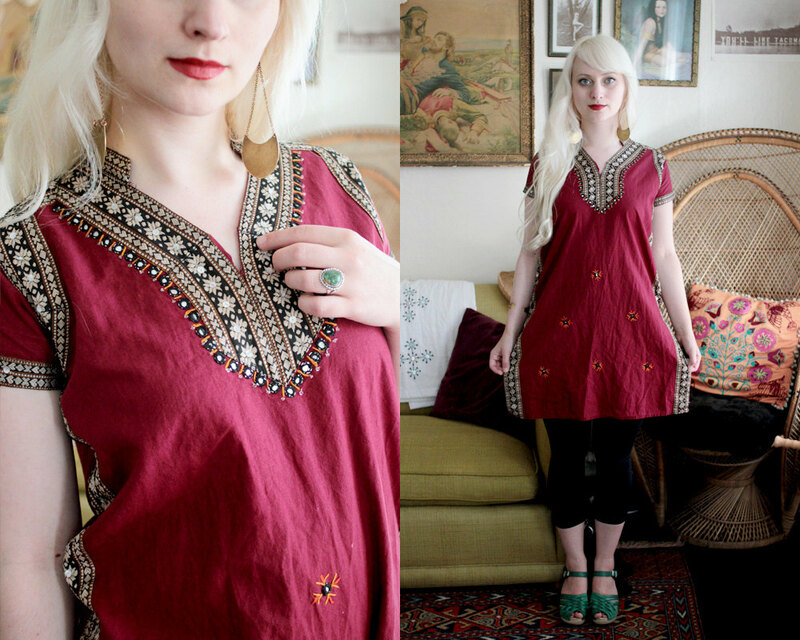 Or Indian pieces to Sweden... Conquering the world, one vintage find at a time! So, if you're ever interested in what i'm digging up - you can visit anytime over here. swoon. 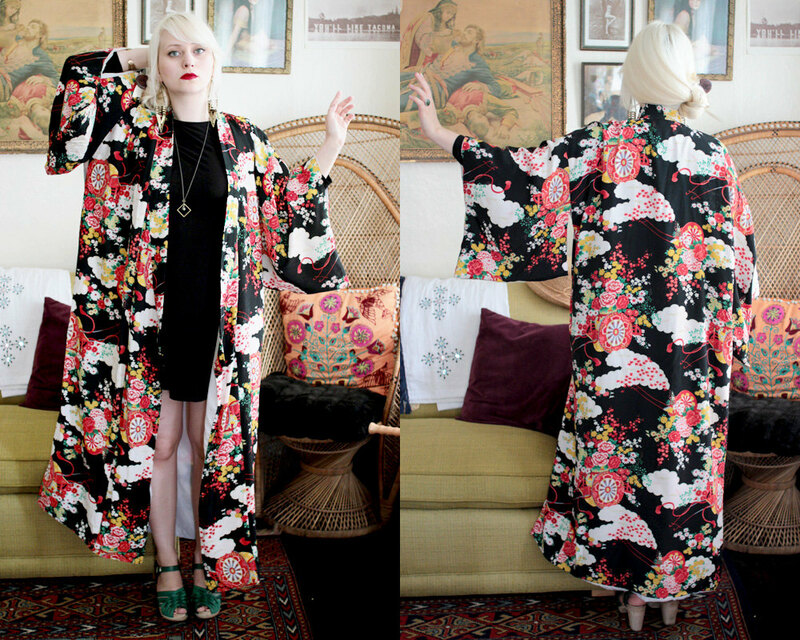 love all your kimonos.